Prefer to not have a whole room dedicated to a spare bed? A sleeper sofa might be the perfect answer. 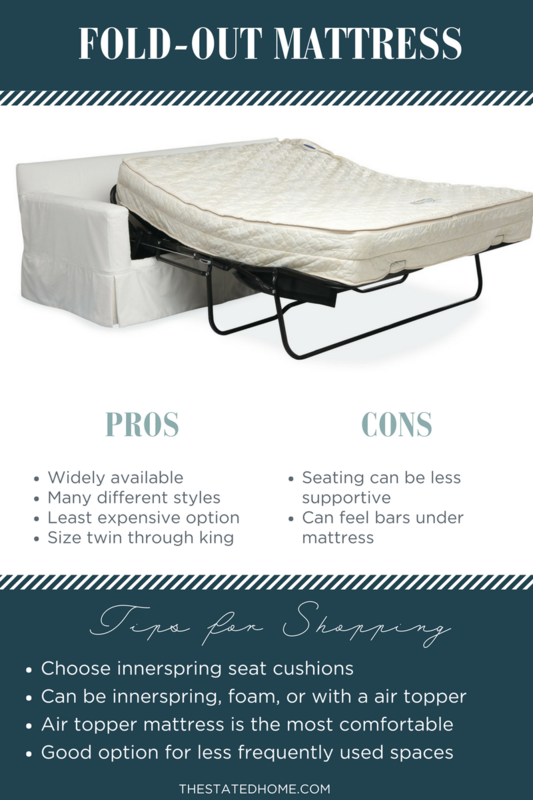 While it isn’t going to be quite as comfortable as an actual bed (it doesn’t have the same supportive springs underneath), it can still provide a great night’s sleep if you buy the right one. The main thing to know is that shopping for a sleeper sofa is more than just picking the right style. There are also several different types of mattresses and configurations that affect sleeping comfort, sitting surface, and space planning. The most important thing to look for when shopping for a sleeper sofa is good quality construction. You’re buying a piece of furniture that includes a mechanism and, as we all know, anything that involves moving parts has the potential to fail. 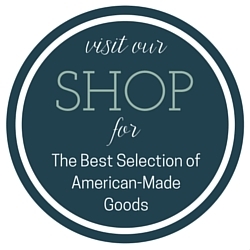 For a quality piece, buy from a manufacturer that uses best practices in their furniture construction. 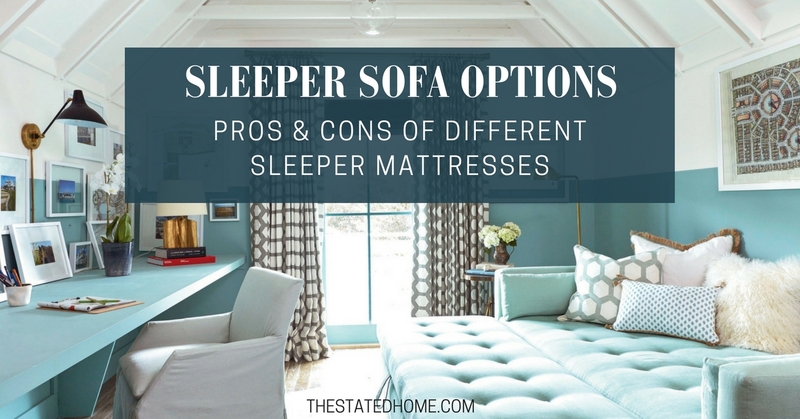 Solid frames, well-made cushions, and top-of-the-line suspensions in sofas and chairs are an indication that their sleepers will be of equally good quality. Hint: Sofa manufacturers don’t make their own sleeper mechanisms. As a result, different manufacturers often have the same mattress and mechanisms. Make sure the mechanism is from a reputable manufacturer like Leggett & Platt or Hickory Springs. Now, let’s talk about the main types of sleeper sofas and some tips on figuring out which kind is best for you (for more about that, check out the second blog in our series on sofa beds). When you think of a sleeper sofa, this is most likely what comes to mind. A thin innerspring mattress folds up like a letter inside the sofa. The mattress is supported by thick canvas-like fabric that’s secured with springs on the sides. You’ll want to make sure the mattress is at least 5-inches thick (found on many of our Lee Industries sofa styles). The seating surface is on top of the mattress, so it doesn’t have the supportive suspension that you would find in a well-made non-sleeper sofa, resulting in a seating surface that is rather hard. For more comfortable seating, choose optional seat cushion fill of innersprings wrapped in fiber or down. The fold-out mechanism is the same as that used in standard innerspring sleepers, but with a foam mattress instead of an innerspring one. The mattress could be made of several components, like polyurethane foam topped with memory foam with a layer of fiber fill for extra softness. This innerspring mattress has the same folding mechanism as the previous two options, but comes with an inflatable air cushion layer on top. The air topper easily inflates with an electric control, creating a plush 11-inch mattress for enhanced comfort. 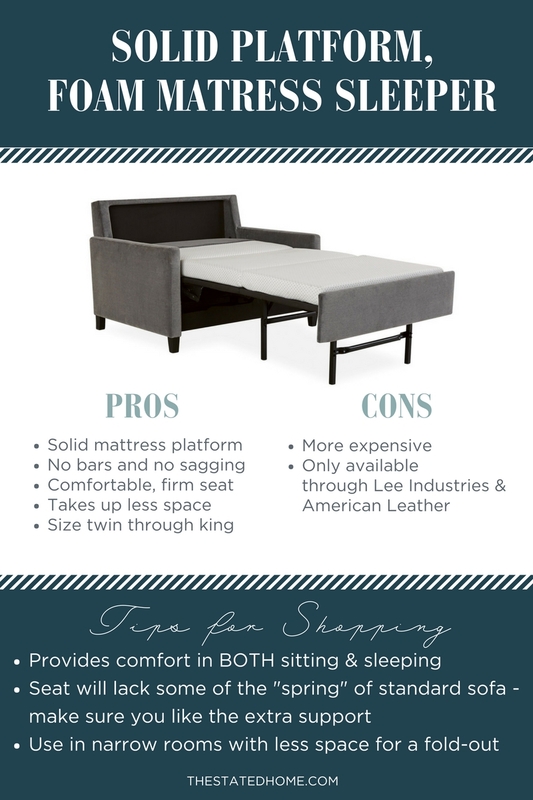 This type of mattress is available as an option on the Lee Industries fold-out sleeper sofa styles. This style operates like a trundle bed: a bottom mattress pulls out and can either stay on the floor for two twin beds or pop-up to create a larger bed. When sleeping, you lie parallel to the back of the sofa, as opposed to the more traditional perpendicular sleeping arrangement. Our Aspen Sleeper Sofa by Lee Industries is this type of sleeper. This sleeper sofa is available only through Lee Industries (Lee Sleeper Collection) and American Leather (Comfort Sleeper) and is one of the best options on the market. It features a foam mattress that rests on a solid platform with no bars, no springs, and no sagging. This sleeper design allows you to have a larger mattress while taking up less space in the room. Typical sleeper mattresses are 70 to 75 inches long while the one on the Solid Platform, Foam Mattress Sleeper is 80 inches long, the same length as a standard bed. The Stated Home offers the Lee Industries Sleeper Collection in our St. Paul and Branson styles. Wood Used for Furniture: Where Does it Come From? Sofa Frames: What Kind Are the Best? We’d be happy to help! I just sent you an email to see what you’re looking for. Do you know anything about Clad Home Whittier sleeper sofa? I wasn’t familiar with that brand, but I looked quickly and I would assume it is your standard fold out sleeper sofa with either an innerspring mattress or a foam mattress – there would likely be springs and the potential to sag with time. I just purchased an American Leather Sleeper Sofa with the “standard” mattress. Twin XL. It is hard as a rock. If you like sleeping on 2 x 4s, this is the one for you! Local dealer says “too bad.” Buy a topper, but it has to be stored somewhere besides on the bed. OK, just spend more money on an already very expensive sofa bed to make it possible to get a good night’s sleep. Would NOT recommend this product. That’s a shame you aren’t liking your sofa bed – comfort is very personal and I do know a lot of people that don’t mind the firmer feel of that mattress, especially if the alternative is saggy springs and bars. I know it’s a pain to store a topper, but I do think it will help a lot! Thank you for sharing this informative post. 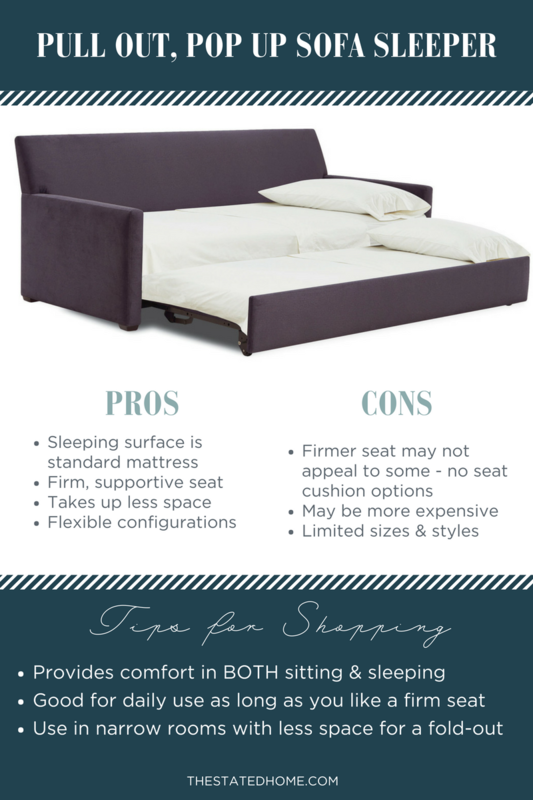 This is handy especially for those who are confused on what sofa sleeper should be bought.